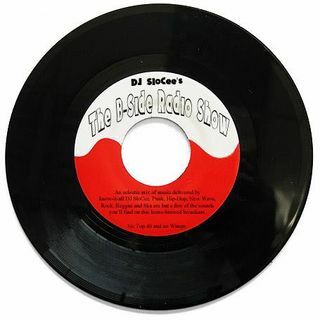 The B Side Radio Show boasts an eclectic mix of music delivered by know-it-all DJ SloCee. Punk, Hip-Hop, New Wave, Rock, Reggae and Ska are but a few of the sounds you'll find on this home-brewed broadcast. No Top 40 and No Wimps. Enjoy !